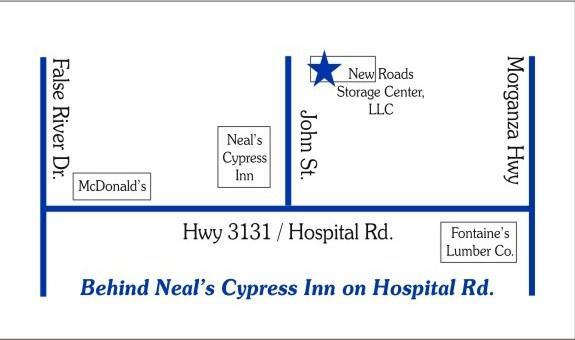 Our facility offers household, commercial, and recreational storage units for customers throughout the New Roads/False River area and beyond. Our facility provides controlled, clean, safe and affordable storage units that come in a variety of sizes to suit your storage needs. Our prices are guaranteed to fit your budget. We offer the nicest, cleanest storage units in the area with the lowest rates around!!! All of our units are Climate Controlled!!! Our goal is to deliver superior quality and value to every customer at a reasonable price.